At Nutricia, we are dedicated to providing more choices to more people. 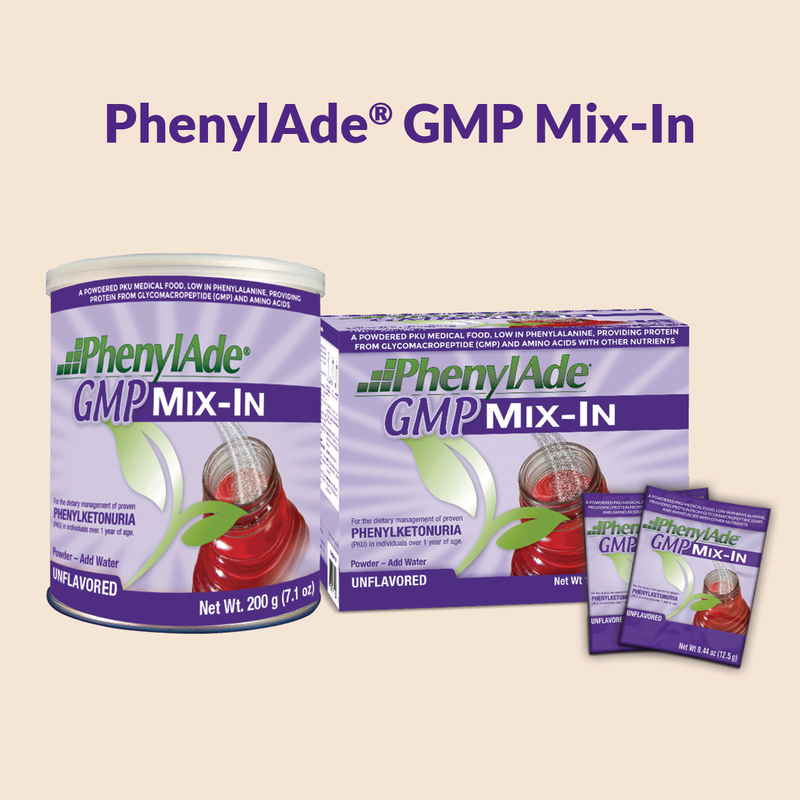 We have recently added new GMP‐based products to our portfolio. To read more about what GMP is, click HERE. 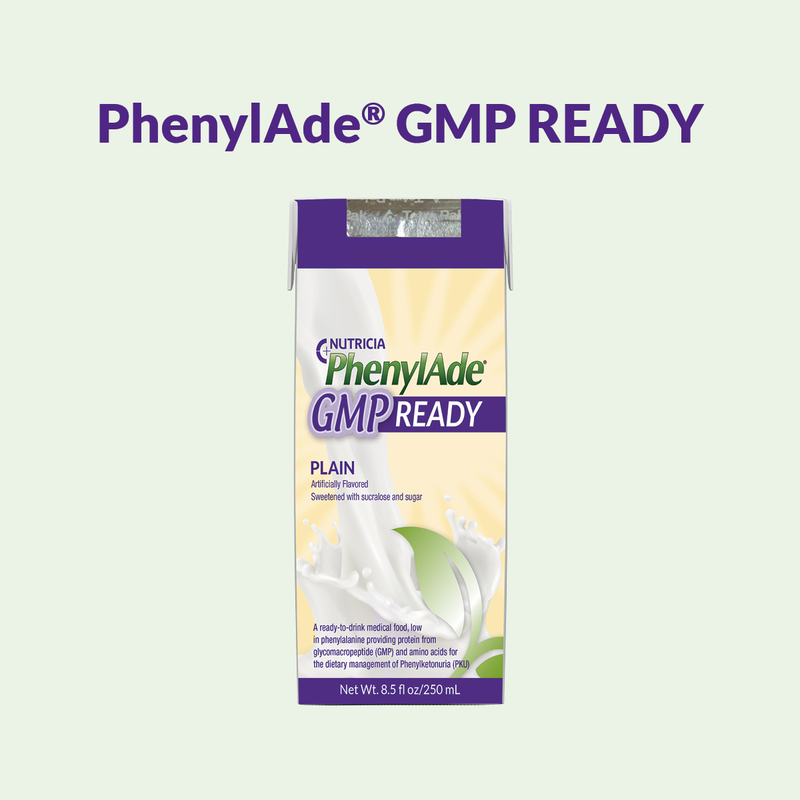 For those of you who want an overview of what is available in GMP‐based products from Nutricia, we made this quick reference guide. Get inspired to find your favorite one! 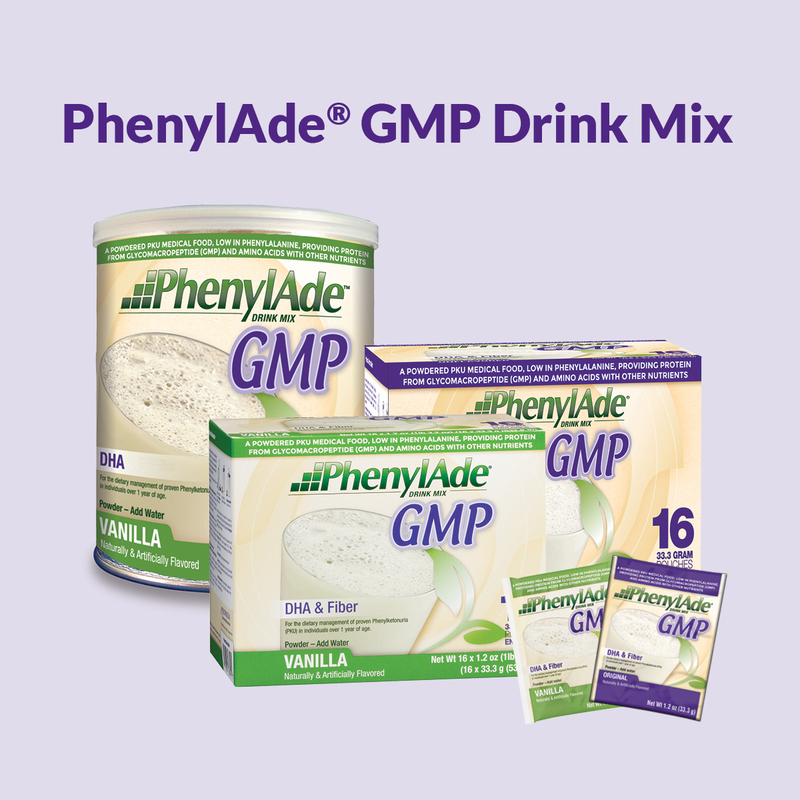 PhenylAde GMP READY, PhenylAde GMP Drink Mix, and PhenylAde GMP Mix-In are medical foods for the dietary managment of proven Phenylketonuria (PKU) and must be used under medical supervision. 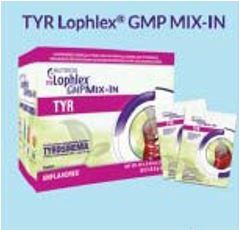 TYR Lophlex LQ is a medical food for the dietary management of proven Tyrosinemia and must be used under medical supervision. Previous PostAre you READY?Next PostWhat is GMP?